The declaration above has at different times been attributed to Voltaire, to François-Marie Arouet, to S. G. Tallentyre, to Evelyn Beatrice Hall, and to Ignazio Silone. Even Douglas Young and Norbert Gutermanare said to have used the expression at some point. The fact that the quotation is attributed to many great philosophers is an indication of the pride of place the wisdom in the declaration occupies in human relations. But there is no country where that statement of advice/cautionmore urgently needed, to bring people to the path of sanity, than,I think, it is in Nigeria. Nigeria, where some adults talk and behave as kids while kids are now compelled to assume the position of “the father of the man.”Nigeria! I leave it here. However, I need to point out that a situation where one sees every other person opposed to one’s views as an enemy is inimical to progress and prosperity. No country has ever made any progress with majority of its people operating within that myopic, childish, old-fashioned and one-sided mentality. Prof. Ojukwu (SAN) recently hinted of his plans to advise Mr. Paul Usoro (SAN) to “step aside” from the position of President of the Nigerian Bar Association (NBA) pending the final determination of the charges filed against him (Paul Usoro) by the EFCC. Additionally, Prof Ojukwu has instituted a court action against the NBA under the Freedom of Information Act, seeking some reliefs. On both points, I have vehemently disagreed with Prof Ojukwu’s stand and I have openly communicated my disagreement to him in a most respectful manner. In particular, on the call for Paul Usoro’s resignation, I have written and circulated more than ten articles and several other short comments, explaining and amplifying why the call is grossly unnecessary and offering my reasons, based on what I objectivelybelieve is in line with extant laws in Nigeria and also in view of stiflingly prevailing trends in Nigeria that need to be halted in the best interest of governance and sustenance of rule of law in the country. Indeed, I have even had cause to respectfully respond direct to respected Prof Ojukwu on this same issue. All this notwithstanding, my respect for Prof Ojukwu has not diminished an inch, because my position, as his, is based on principles. I am certain that Prof Ojukwu knows that I am entitled to my opinion, just as he, and indeed everyone else, is. On my part, I have not seen any empirically strong reasons to alter my position on the matter; I seriously doubt I ever will, because wherever rule of law and due process stand, there you`d find me. Indeed, I have advised those calling for the NBA President’s resignation or “step aside” to be patient until the August 2020 NBA-AGC when Paul Usoro is slated to hand over to an elected replacement from the West side of Nigeria. It is puerilefor one to insult those opposed to one’s views or position. Besides, one does not win any argument by intimidation and coercion. Nothing else is achieved by shouting down and consequently silencing one’s opponent, except making one’s position worse. Because the opponent’s views remain his views, still unchanged, and would continue to reside within him. If you really wish him to change his views about things and begin to see things your own way, you ought to achieve this only by advancing credible, strongerand more convincing argument based on valid, verifiable and logical premises. In this way, if he agrees with you, you have won him; he is then on your side. This is the way to argue! Further, how do we expect to learn and add to our reservoir of knowledge and wisdom if we are fed with only one side of every arguments with no opportunity of having access to the other side of the coin? Impossible, because we would then remain stagnant. And that's a major problem in Nigeria, our country. When we reject people only because they're different, or because they think differently, we deny them the respect they deserve as human beings and at the same time make a statement about our own ugly character in the process. We all need not hold the same or similar opinions on all issues. Yet, holding different opinions does not make us different or divided. We would remain together and progressing together if we learn to accept, respect and live with our differences and difference of opinions. “Give others freedom to be themselves; appreciate the differences between their ways and yours, and you'd be wiser and greater” (Jennifer Chen). To suppress free speech is tantamount to committing a double wrong: it violates the rights of the hearer as well as those of the speaker. No man can put a chain about the ankle of his own fellow man without in the end finding the other end of the chain fastened about and around his own neck (Frederick Douglass).It is on this note that I consider it irresponsible that some lawyers have launched verbal and social media attacks and hurling malignant insults on the person of Prof Ernest Ojukwu, SAN, because they feel he is “fighting” PaulUsoro, SAN. Prof Ojukwu had then proceeded to assure that he would remain a loyal member of NBA despite his grouse with the manner of the elections and the results. Remember, please, that I had stood beside Prof Ojukwuthroughout the elections, campaigning and praying for his victory. I was however happy with his decision to not create unnecessary tension by challenging the results. In the spirit of sportsmanship, I myself had accepted the results and was immediately willing to support our new president in line with an aspect of my motto: “hustle, loyalty and respect.” Since then, I had held the view that Prof Ojukwu would not initiate, engage or participate in anything that would directly or indirectly create tension within the NBAnor calculated to discredit its leadership, because Prof Ojukwu himself has contributed a lot in building the NBA; you do not try to pull down a house you helped to build. It is contradictory, and would amount to what has been described severally in Latin as “frigusflantecalidum simul” (blowing hot and cold at the same time), approbating et reprobando (approbating and reprobating) or et facitaliudcontrarium(saying one thing and doing the exact opposite). I do not believe Prof Ojukwu would do this.Besides, whatever you would not want others to do to you, you just should not do the same to others. I am sure that Prof Ojukwu, if he had won, would not have expected that any one of his opponents during the electionswould turn around and try to engage in actions calculated to undermine his leadership. What is more? Prof Ojukwu is an excellent lawyer, distinguished academic and outstanding bar man who, I expect, would never stoop low to begin to engage in anything that would lead to rancor or division within the NBA. He once personally informed me of his selfless love for the NBA and how he would always work for its progress. I respectfully expect that Prof Ojukwu would not change only because he is not the President of the NBA! Now, a question may be asked, Has Prof Ojukwu created tension? I think not. First, he expressed an opinion on the Paul Usoro Presidency versus the EFCC “charges,” which opinion was greeted with ferventdisapproval from some learned colleagues, including my humble self. His is a mere opinion, to which he is rightfully entitled and he ought to not be crucified for holding his opinion, however bizarre or unwelcome anyone thinks the opinion is. Second, although I have my questions about the suitsaid to have been instituted by Prof Ojukwu, yet the suit ought to not generate tension nor attract any insults against the person of Prof Ojukwu. It is his right to go to court, over anything, even if there is nothing to go to court for. So, I humbly suggest, let the NBA, through its lawyers, roll out its defences and meet Prof Ojukwu in court. It is that simple, because, as they say in my village, it is not the man that called the police that usually wins the case. Similarly, experience has shown that the claimant or plaintiff in a civil suit doesn’t necessarily turn the winner in the court of law. So, merely instituting an action in court is not tantamount to a victory because Prof Ojukwu cannot be the Claimant or the Applicant and the Judge at the same time in his own case. Yet, he has the right to go to court as he may deem necessary; he must not be slighted for that. I therefore advise those who insult Prof Ojukwu and others with opinions contrary to ours, to forthwith cease fire and stop the unnecessary attacks and character assassination. One big lesson most Nigerians learnt from the just-concluded Vice Presidential debate for the upcoming 2019 general elections, is the value of focusing your energies, in argument, on issues and not against personalities. The only reason I love that debate is that, barring some few gaffes, it focused majorly on issues rather than on the “hate speech,”slander and blame-game that appear to have become the bane of Nigeria’s politics. Further, may I advise out colleagues that loyalty to or with a leader does not lie in insulting, nor does it give one the license to insult and malign,anyone else who doesn’t agree with the leader. As I have said above, when you engage in such act, you cause problems for the leader. If you truly are a loyal admirer or acolyte, you can show this through so many means other than descending low to speak and act like motor park touts and street urchins whose stock-in-trade it is to engage in foul talk and irresponsible slanderous invectives. We are lawyers, not street urchins. Any supporter of any leader whose only way of showing support for the leader is to malign, attack and insult the leader’s opponents is a disloyal loyalist. I accordingly urge our indefatigable leader,Mr. Paul Usoro to immediately do away with anymorose sycophant and brainless brownnoser around him who takes pleasure in slander and smear campaign against his opponent, for that fan is an enemy in disguise. These ones need to be lectured that the mere fact that one holds a contrary opinion does not, without more, make one bad or evil neither does it diminish the leader’s status, capability or popularity rating. Any leader that doesn’t have any opposition or detractors at all is headed for his Waterloo. 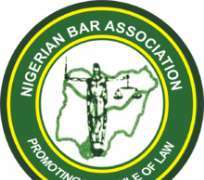 Let me use this opportunity to reiterate my advice to Paul Usoro: it is not necessary for you to resign over mere unproven allegations that have nothing to with, and are not connected with,your management of the affairs of the Nigerian Bar Association (NBA). Punishment before conviction is an abomination before the law and our constitution.Convictions are not secured nor guilt established on the social media. Let the prosecutor go to court and prove its case against you beyond reasonable doubts, if it has evidence to that effect. But let the state prosecuting counsel understand that they are not parties to the case but mere officers in the temple of justice whose only connection is to ensure that justice is done, one way or the other. The start-off point for pure justice in this case, because of its special nature, is for you to stay right there in your position as the NBA president while the case goes on and until final determination of the case.So, I urge you, in the meantime, to remain strong, courageous and focused on delivering on your mandate as the President of the NBA. Do not get distracted! Disclaimer: "The views/contents expressed in this article are the sole responsibility of sylvester udemezue and do not necessarily reflect those of The Nigerian Voice. The Nigerian Voice will not be responsible or liable for any inaccurate or incorrect statements contained in this article."